X-Men: Days of Future Past features more mutants than have ever been on screen together before for a massive adventure launching us from an apocalyptic future back into the world of the First Class team. In Days of Future Past, a years-long world conflict between humans and mutants has taken its toll on their numbers, and now a scant few remain, including Professor Charles Xavier (Patrick Stewart), Erik “Magneto” Lehnsherr (Ian McKellen), Kitty Pryde (Ellen Page), and Wolverine (Hugh Jackman). Driven to near extinction by the technological terrors unleashed by Bolivar Trask (Peter Dinklage), the team forms a desperate plan: time travel. Using Kitty Pryde’s powers, Wolverine’s consciousness will be sent back into his younger self in the 1970s, where he’ll have to track down and help the First Class versions of the characters in order to stop Trask. But that will be even harder than it sounds, as in this era, the X-Men team is just as disparate, with Professor Xavier (James McAvoy) and the rest either at odds or in a low ebb. 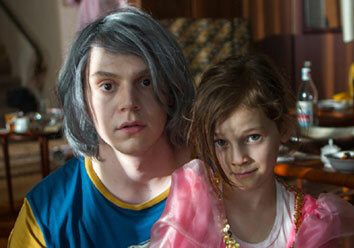 Can the younger versions of the mutants save their future? Going back in time to prevent the mutants’ annihilation in the future, Logan aka Wolverine, Hank McCoy aka Beast and Charles Xavier/Professor X employs the help of a young hiding mutant named as Peter Maximoff who later will be known as Quicksilver to bring Erik Lensherr aka Magneto out of the most secured prison built after being accused in the assassination of John F. Kennedy. Faster than the speed of sound and light, this fast moving mercury marvel successfully led the young Magneto out of prison to help mutants stop the Sentinel program and save both human and mutantkind. Singer and director of photography Newton Thomas Sigel used high-speed phantom cameras and photo-sonic technology to film the Pentagon break-in and escape sequence, one of the film’s most technically intricate and visually arresting scenes. The scene was shot at 3000 frames per second with Quicksilver running along the walls in the Pentagon kitchen, parallel to the ground. “We’ve never experienced this on film before,” says Singer. Don’t blink – Quicksilver will speed up in Philippine cinemas when X-Men: Days of Future Past (3D) opens May 21 nationwide from 20th Century Fox be distributed by Warner Bros.